At Gatherhaus, we search for stories. Stories that inspire us, empower us, confront us, and change us. Stories that have the power of getting under our skin with a truth that transforms and challenges us to examine ourselves, our lives, and how we engage with others. At least the good stories should. North Minneapolis (NoMi) is a neighborhood that suffers from low expectations and harsh aggressive stereotypes. This keeps us as a neighborhood that is often spoken about in a derogatory way. One major battle that its residents face is our issue of trash that has made us known as the city-wide dumping ground. In our streets you see the remnants of our lives. You know where the party got crazy. Where the fight happened. Where vandalism took place. Needles are left abandoned, weave is our inner city tumbleweed, broken beer and vodka bottles threaten car tires at every turn. It breeds a culture that lives in the streets and its trash is the echo that we choose to ignore or can’t hear. The excessive chronic trash issue has caused apathy among the residents of NoMi. However, a stir is happening to recognize the great need to change the atmosphere in our streets. To not let the overwhelming oppressive expectation be who we are. That if we pull together, we can change our story. We can write a new narrative where we rise above the expectation set before us, rejecting the current trickle-down effect of apathetic acceptance. This is where local graphic designer and musician, Paul Tietjen had an idea for a living art project. Birthed out of a need to change the apathetic atmosphere, The Newport Trail; living art, was created. For 13 years, I have lived in North Minneapolis. During that time I happened to notice something repetitively as I drove on my morning and evening commutes. Along every block of the streets and sidewalks, there was one item that appeared over and over again no matter what direction I drove in or walked. 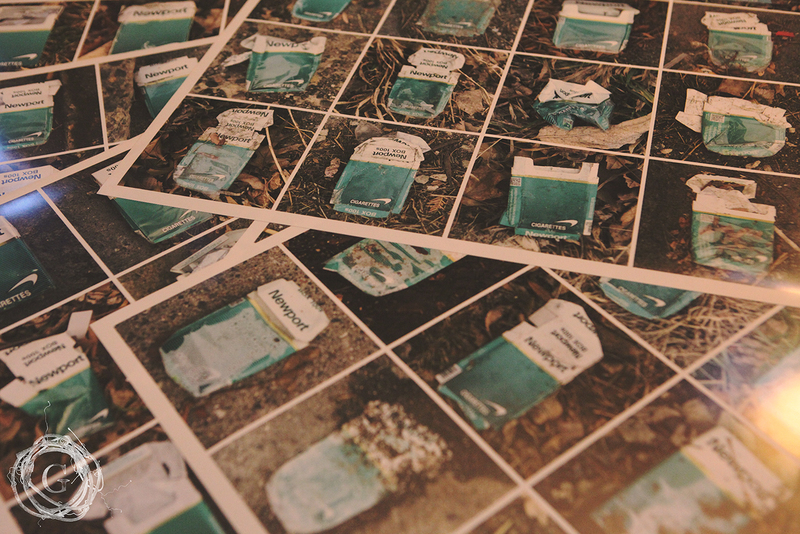 Empty Newport cigarette boxes. I also noticed that it was not something in any of the neighborhoods that bordered NoMi. So I decided to go on a walk, photograph a box when I saw one, pick it up, throw it away, and at the end of my walk, I would create a collage and post it to our online community to create awareness. What I discovered was, I could collect a minimum of 16 empty Newports. With that I decided to create a collection of 10 walks, all within a half hour, all photographed as they were found. 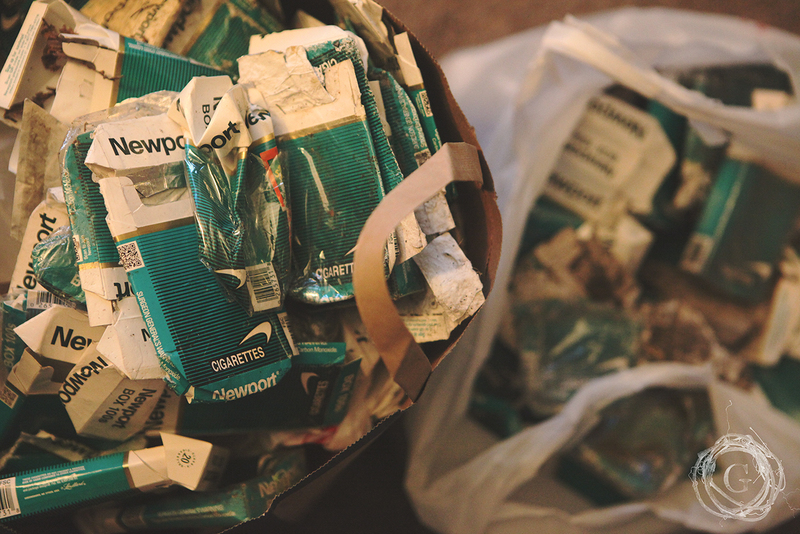 I would pick the empty Newport boxes up and throw them away after I stumbled upon them. This left me with multiple questions: What sort of culture has been created around littering in this area? Unlike other convenient store products, this is a product where you have a place set aside to carry this on you as you walk around for at least a couple of days. Why, if we have a standing place to hold this, is it being thrown onto the ground when we’re done with it? Why wouldn’t a person be willing to continue to carry the empty box until they are around a garbage can? Why would a community become so apathetic about existing with the garbage, rather than pick up what’s just in front of their homes, on the sidewalk, or curbside? What does that say about our human nature? Do we consider how our own personal garbage affects the people around us? Huge cultural questions to ask and try to tackle with simply picking up 16 empty cigarette boxes in hopes of making a statement. This living art project echos the very thing Gladwell talks about in his book. “The power of context says it isn’t the big things that matter, but the small things that change crime and cultures.” With Paul focusing on one specific item, he gives a language and face to a chronic problem that continues to enable a culture to live with little to no expectations of ever becoming safer or free of trash. Against the odds of simplicity, it started working. 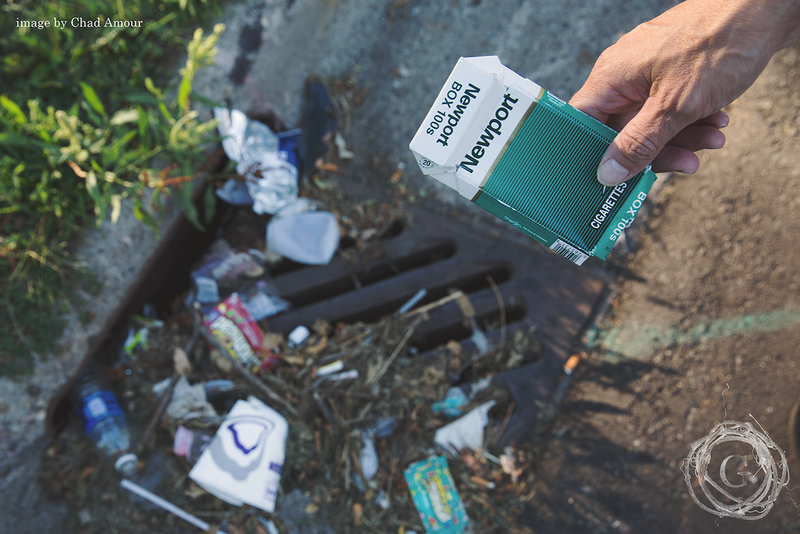 Paul’s focus on Newports started to catch on as he posted his findings on our neighborhood watch Facebook page. More in our community starting chronicling when they would find Newport boxes discarded on the streets. And you know what happens when you start looking for Newports on the ground? You start noticing the other trash as well. When you start noticing the other trash, it starts to become impossible to leave it there. How can you pick up just the Newport and not the other garbage around it? The art collection of the Newport Trail will be featured at the State of the Garbage Compost Summit hosted in North Minneapolis on August 18 from 6:00-8:00 pm featuring Mayor Betsy Hodges and other city officials and neighborhood advocates. Paul Tietjen also has hopes to submit his collection in multiple local art shows and businesses around NoMi. The goal is to help residents relate to this social issue and hopefully help us to understand how to improve it through a creative way. It is easy to think the task impossible. However, if we never start somewhere, if no one makes a statement, and if we don’t hold each other accountable, then how can we make a difference? I was amazed at how much this project impacted me. I write more about that and the residual effects of the “Broken Window Theory” in Gladwell’s book on my personal website, www.danitietjen.com. Check it out to see how this project is gaining attention, action, and healing. Join us in the effort. Share this article. Pick up the trash. Raise your voice and be heard. We can make a difference.